Nice David! I too like the trees. “Overshot” subjects can be interesting to shoot from different perspectives like this, brings fresh life to them. Sure does bring a fresh life doesn’t it? Why be normal right? Nice framing David. 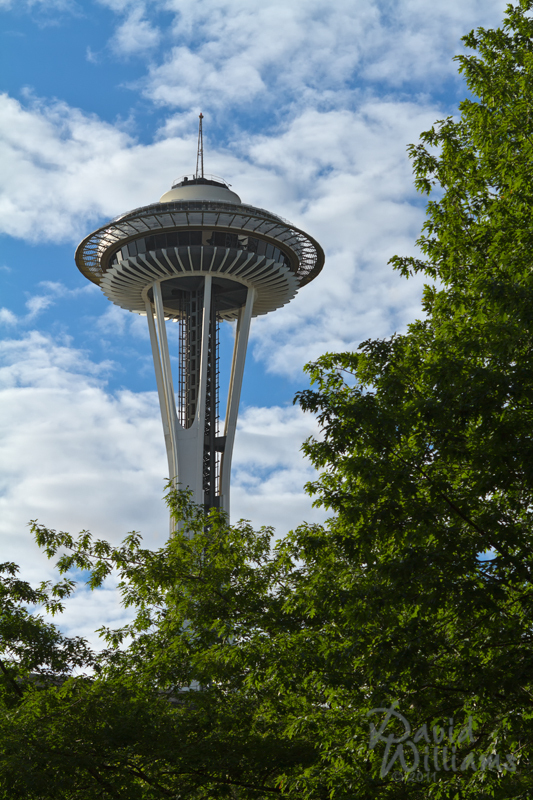 Brings back memories from my visit to the Space Needle about 10+ years ago. Definitely like the trees with it. Great perspective!